Ariana Boussard-Reifel Platoro Sterling Silver Earrings inspired by the forms of cultural tribal jewelry — The Great Divide Collection. 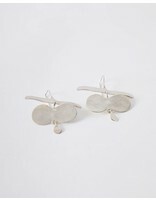 Quirky and fluid shape allow for the perfect statement earring. 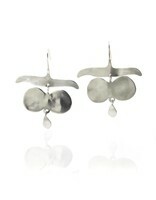 Designed and made in their NYC Studio with recycled sterling silver.